We carry all of the great vehicles from this top manufacturer including the 488 GTB, the GTC 4 Lusso, California T and much more. No matter which option you’re interested in, we have it for you. We can even custom order the vehicle with the exact color, trim package and much more to ensure you’re getting exactly what you want, without having to pay higher prices. If you have never worked with us in the past you might be thinking that we are just another Ferrari dealership looking for your business. The fact is, however, that nothing could be further from the truth. 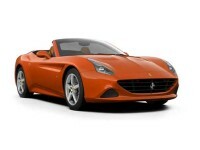 You’ll quickly see that while we sell a lot of Ferrari vehicles, they are not the only brand we offer. 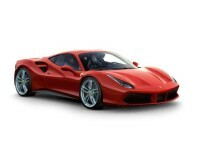 We sell virtually every manufacturer out there including Bentley, Rolls-Royce, BMW and, of course Ferrari. Having so many options to choose from makes it so we can be your ‘one stop shopping’ option for your next car lease. Another advantage of working with us is that you don’t have to drive around to our lot and hope we have what you need. We are an ‘online car lot’ so you can look through all that we have to offer right from the comfort of your own home. If you want to do a test drive you can give us a call and we can help make the arrangements to get this done. Beyond that, however, you don’t have to deal with high pressure salesmen or limited selections. 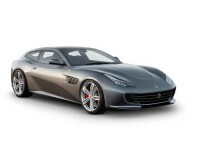 Once you’ve picked out which of the Ferrari vehicles you are interested in, you will work with our leasing professionals to get the financing in place and find the terms that work for you. We work hard to keep our prices extremely low, so you may be surprised at just how affordable the vehicle is. When that is done, we will have the car delivered directly to you at your home of business. This is truly the most convenient way to get a new auto lease possible. Just because we’re online, however, doesn’t mean you won’t enjoy a personal touch. Our team of leasing experts is there for you whenever you need us. Just give us a call at 718-407-6306 and we will be happy to answer questions or anything else that you need. If you’re ready to lease a new Ferrari, or you have some questions about how this whole process works, please contact us. We can be reached at 718-407-6306 and would be more than happy to help. We serve people throughout New York and the surrounding region so no matter where you are located, we are able to help you to find the perfect vehicle for you to lease today. We look forward to serving you soon.